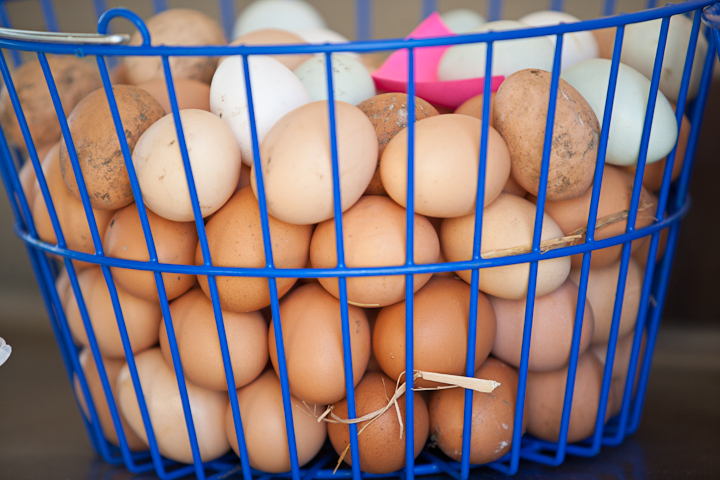 Enjoy our Placer County pasture raised eggs. Our healthy egg laying hens spend nearly all their awake hours outside; free to graze the hillsides for bugs and greens. With all this sunshine, exercise and the best organic feed available, these eggs look, feel and taste better. They are never fed antibiotics, synthetics or hormones. Their custom made mobile hen house is moved around the farm about every ten days; giving them fresh grubs and grass while working symbiotically to fertilize our precious soil. These hens are respected and live a healthy farm life, the way they are meant to live.